Reporting on the Glorious Victories of the Imperial Praetorian Guard. I started out with one of Victoria Lambs rough rider models and subbed in the sabre from the baneblade commander. After a little green stuff gap filling I started work on the eppelettes. 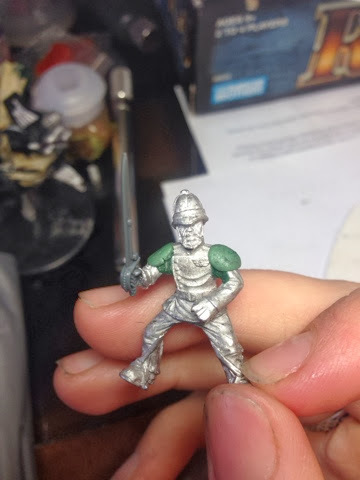 I also decided that this guy needed a suitable base to make him stand out as my commander! For the eppelettes I used the basic technique that I learned on Col. Gravis' blog a few years back. Starting with rough lumps and shaping them with a sharpe edge. 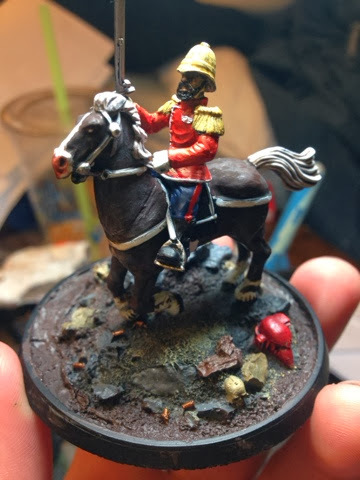 After that I hit him with a little paint and while he isn't yet finished I felt like showing off. Looks fantastic! Really great work, the feel of the model is spot on. 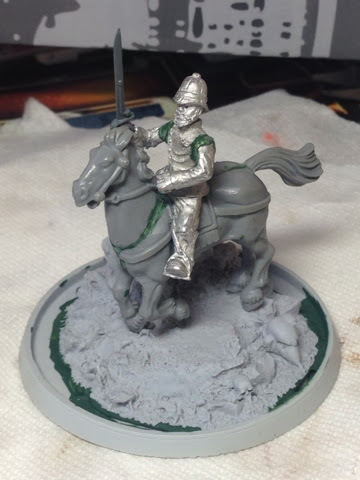 Is he going to be the first of many mounted guys? Very Nice! I'm sure he'll stand proud on the field of battle and lead your armies to victory. Great style. And with a name like that he is destined for glory!! Good work on that. 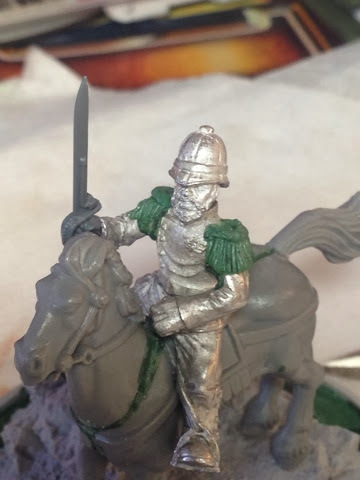 One of the things I actually prefer about the Victoria Lamb figures is the lack of the Big Epaulette. Your addition was well done, though. Are We Really Doing This Again? Who wants to name a tank? I started Collecting Gamesworkshop in 2001 with my first army being the Imperial Guard. I fell in love with the Praetorian Guard the first time I saw them and have gathered an extensive collection. I also play Warhammer Fantasy Battle High Elves and Beastmen, Dystopian Wars Prussian Empire and now apparently I play Malifuax as well.